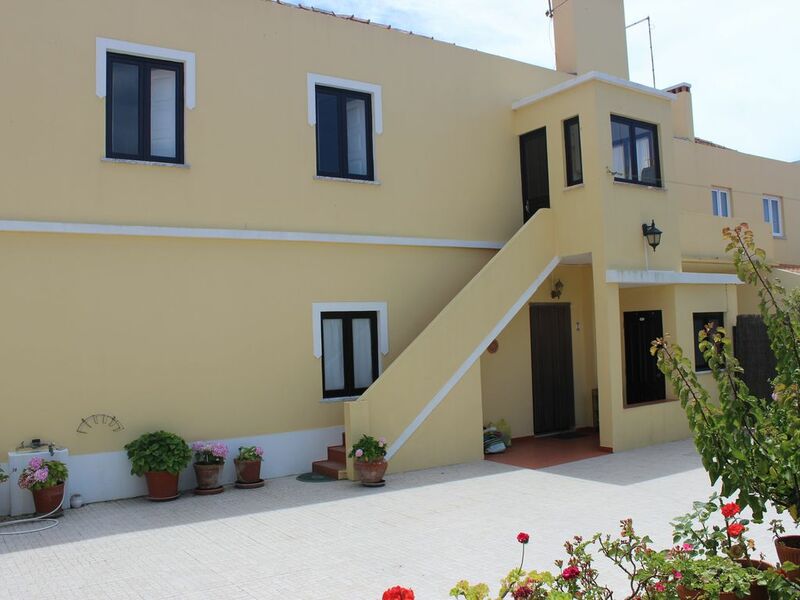 Big house in Ferrel / Peniche, 2km far from white sandy beaches. Ideal to sunbathing, surfing, and sightseeing. House with two floors. 1st floor has a large living and dining room, a kitchen and 2 double bedrooms. There are also a toillet and a bathroom with shower. Upstairs there are 2 double bedrooms, 1 single bedroom, 2 living rooms and a full bathroom. Outside, a large private patio, sidewalk and garden, barbecue, space for leisure and relaxation. We will be there to welcome you on your Checkin! Available to provide all necessary support during the stay. I am very experienced and I will do my best so that you can have a wonderful stay at our home. I am sure you and your family will love it! Lots of space for everybody Pleasant garden and patio. Private parking. Barbeque to relax and have meals outside. Guests will have access to bicycles, lounge chairs, barbecue, a large dining area and more. Filipe was responsive to all our inquiries. The house located in a lovely village, and has all the utilities. We could have easily stayed another week. It was a pleasure to have Keren and her group with us. We are glad to know they loved our house! And they are right - it is a really beautiful character home !!! A week is not enough to enjoy the house and the garden as well as lots of interesting places nearby, you must come back in the future. You are welcome! Thanks, hope to see you soon. Een fantastische huis om te huren. We waren met 9 personen(2 gezinnen). Het huis is groot en alles is aanwezig. Het zijn ruime slaapkamers met kasten. De keuken is basic maar prima. Prachtig servies en inrichting. De tuin met gelegenheid om buiten te zitten is geweldig. Het dorpje heeft alles wat je nodig hebt voor de boodschappen of uit eten. Omgeving is veel te doen. Strand is dichtbij. Een aanrader om het huis te huren en zeker met meer personen. "The owners are friendly & helpfull, but there is no privacy: they live next door and walk in and out of the common court yard. The only bathroom with a shower is in that same court yard (outside! ), so be fast to shower or get caught wearing a towel by the owners... there is no lack of kitchen utensils. perfect for groups. no so much for private families." "Wonderful house, homely, fully equiped, clean. Owners very friendly and helpful. In a very quiet village close to the beach. Great area for exploring the coast and countryside. Very easy to get find the house with clear directions from the owner." L'accueil des propriétaires est super chaleureux. Louis et Felipe sont francophones et nous ont donné plein de conseils, soucieux de bien nous recevoir. La maison est très spacieuse et agréable. Nous avons adoré la dépendance qui était très pratique et conviviale. Le village a toutes les commodités. Il y a des plages magnifiques à proximité, même si l'eau est un peu froide (17ºC) et avec beaucoup de vagues. La règion est attractive. Nous y sommes allés à 2 familles et avons adoré. Enchante de connaitre les deux familles. Ils ont tres bien soigne la maison. Je les recommande à tous les proprietaires. The house has a lot of space inside and outside, and we felt very much at home. The owners are very nice, discreet and obliging, reacting promptly to questions (e.g. via sms, WhatsApp). The house is located in a calm area of the small village, where you can find small supermarkets and nice restaurants within walking-distance. It´s also close to two nice and sandy beaches (5 minutes by car), where you can book surfing classes, or just relax, swim or take walks. Also very interesting with lots of sites to visit are the surroundings, and of course Lisbon (about 1 hr to go by car). The patio provides a lot of privacy to sunbathe, barbecue etc. and makes you feel at ease with its flowers and trees to look on. The kitchen is well equipped, there are two showers, and three bathrooms. If we come back to this area of Portugal, we will certainly choose this house again. Thanks for everything, family Santos! Katrin and her family are the perfect guests. They stayed in our home for two weeks and it was a pleasure to host them. They are very nice and polite people and at the end of their stay they were so kind that they left all the house very clean. They even watered the flowers pots in the garden ! In a word: Excellent guests! Thank you so much Katrin, Michael and family. Hope to see you in the future! Enjoy beaches, golf, and cycling. Visit Peniche, Obidos, Alcobaça, Nazaré and Leiria.